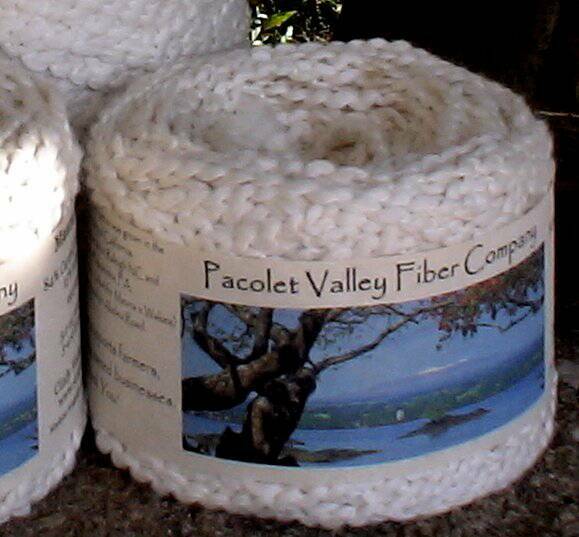 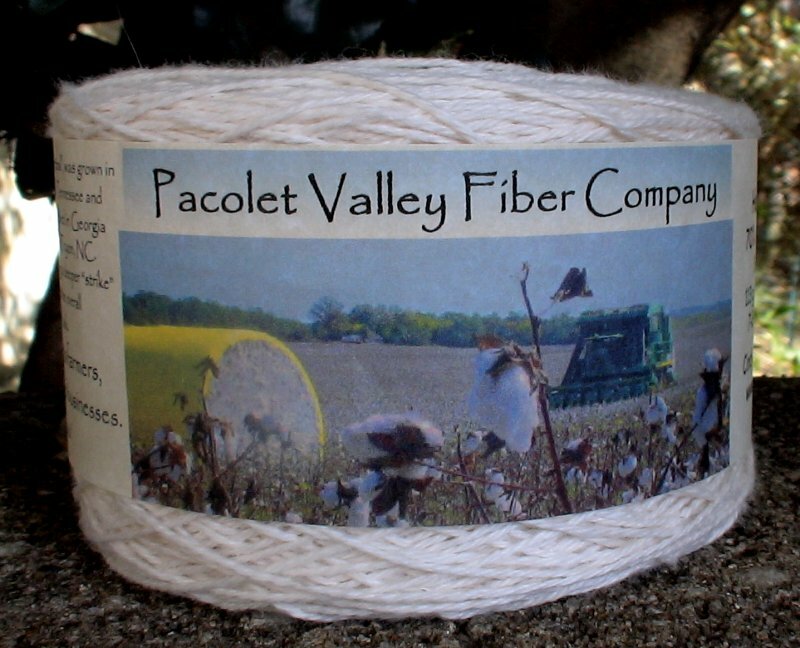 Pacolet Valley Heather Loves the Dye! 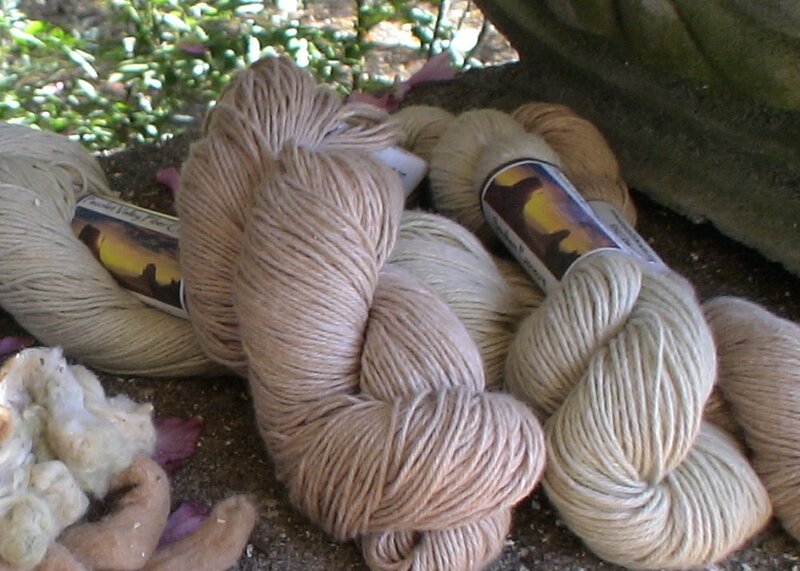 The Organic / Cottina Blend makes for a lovely dye combination. 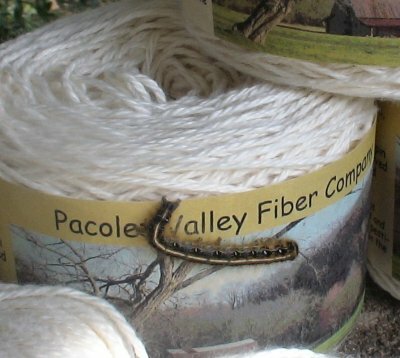 The Cottina® attracts the dye yielding a deeper “strike” of color on some fibers so that the overall appearance is a heather look. 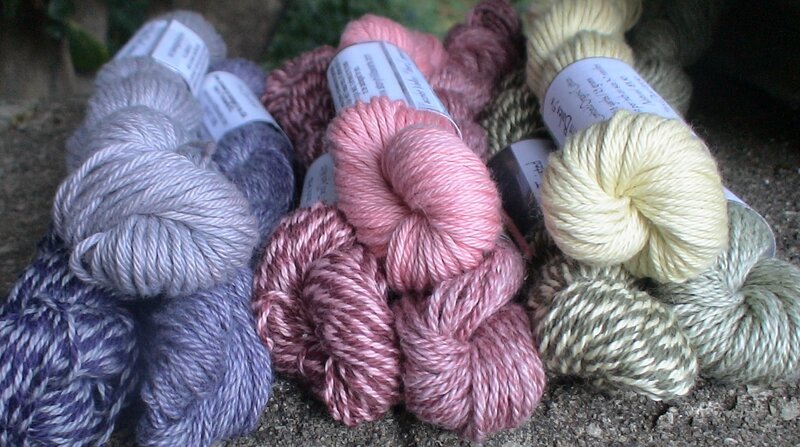 Pictured are groups of Southern Bales, Heather and Twisted that all went into their prospective dye pots together. 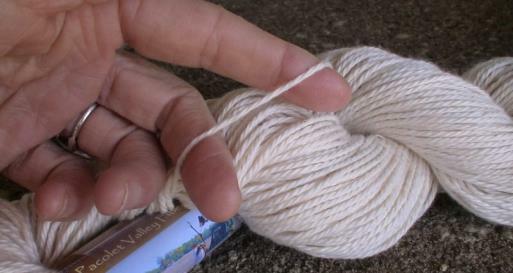 The Southern Bales is the top yarn, the Heather is on the lower right, the Twisted on the left.